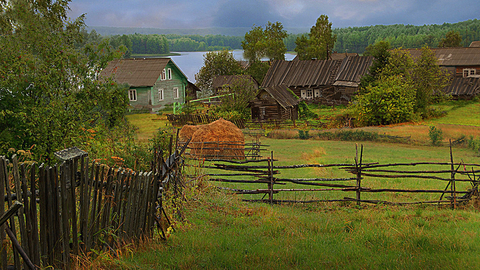 Russian village should become a new economic centers of the country and a "place of power" for entrepreneurs, the head of the Ministry of agriculture of the Russian Federation Dmitry Patrushev. The Minister of agriculture became the author of a column on the website ria.ru under the project, the press service of the government and the MIA "Russia today" - "the Government online". Start the project by writing the first column, gave the Prime Minister Dmitry Medvedev. "The village should become a new economic centers of Russia, a "place of power" for entrepreneurs, the area of concentration of investment and advanced technology," wrote Patrushev. He noted that the country has largely learned to provide themselves with products, which previously depended on imports: indicators of food security Doctrine implemented in almost all key areas. However, the conditions have recently changed. "Economic sanctions, Russia's accession to the WTO, the deepening of integration processes within the EEU, have all contributed to the need to create a new food security Doctrine. Today this indicator should be measured not only by the volumes of made production, and economic and physical availability of food for the population", - said the head of the Ministry of agriculture. According to him, this including and a directional document would be assessed as financially able people to buy food products and their availability in the required quantity of shops and catering points. "In addition, we currently are focused not so much on the promotion of import substitution, development of export potential it is important to understand what products painless we can export abroad, without prejudice to the Russian consumers. A new method of calculating food security allows you to achieve this," concluded Patrushev.